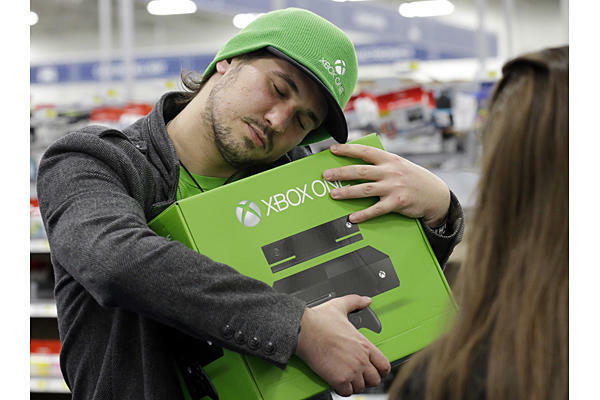 Xbox One Price Cut in the UK: Strategy or Desperate Move? "After a mere three months since its release, the Xbox One will is getting a price cut in the United Kingdom from £429.99 to £399, in what has to be one of the fastest price reductions for a gaming console ever." The aforementioned price cut has left consumers in the UK smiling, but has also caused some to wonder exactly why the price cut was made. Some see the price cut as something miniscule and just simply going along with changes in the market and/or utilizing a strategy to capitalize on the upcoming release of Titanfall. Others see the price cut as a sort of act of desperation. On one hand, some will argue that companies more often than not make shifts in the prices of their products to fit the market. It is reasonable to say as well that a company will leave wiggle room from their initial price, insofar as they can make price reductions, but still make a hefty profit. Ultimately, too the consumers are what really control the prices. A slight shift in prices may create enough of a reaction in potential consumers to turn them into clients. The notion should also be recognized that this shift in price is well timed with the release of Titanfall. This timing may be a sales plan in its entirety. To elaborate, Microsoft may feel that implementing a price reduction along with the release of the aforementioned title could effectively bring in new Xbox One consumers. If this initial door is opened, these new Xbox One owners will in turn buy more games for their new consoles, creating a larger profit over time despite the initial smaller-than-initial profits gained from the consoles themselves. On the other hand, some feel that Microsoft is in a sort of tough situation and wants to get the consoles off of their hands. After all, on the macro-scale of things, the PS4 is outselling the Xbox One in most cases two to one. Microsoft may have planned to sell more units and because of lack of success, they need to change their price. Some may go on to say that with the price change, Microsoft is basically saying, "we thought we were this good (£399.99), but we're actually only at this level (£429.99)." One person or another might make a comparison to someone who is desperate for sales and selling products at barely profitable rates to just stay afloat. The entire situation is debatable, but the notion should be taken into account that Microsoft is a veteran entity. Because of Microsoft's prestige so to speak, it may be held as 'unlikely' to some that Microsoft would put out its new console without some sort of battle plan or margins to shift its price. With that being said, some may counter saying because Microsoft is so large, the entity may have an audacity to make a firm price without taking in the idea that it may be possible the Xbox One may not sell as expected. Despite whatever Microsoft's reasons may be, the aforementioned price reduction is beneficial to the consumer and may very well be taken advantage of. I started writing articles for the homepage in 2014. My favorite articles to write were articles which collectively are known as my retrospective series, "Let's Go Retro." After roughly 20 articles of mine were promoted in one month, I was given the position of "Writer." I wrote for awhile, eventually became a Diet Moderator, and later became a Super Moderator. I still enjoy to write and will put out an article on occasion when i have time. Nowadays, my time is very limited due to studies.